Fall hair trends are on the prowl - and our saloon chairs have been buzzing with brunette's and golden beauties already! This quick trend read is for all of you ladies that are not quite ready to bid your highlights goodbye. I suggest keeping your face light and bright while dosing down with rich brown behind and under to bring color into the face, plump up your cuticle and to usher in a season of soul renewal. If you've followed our instagram stories this summer and caught me hitting the trail rides this summer on my favorite horse pal (Rebel) - then you'll get this is my all time fav! Hats off and yeehaw to this beautiful image - as a horse lover, cowgirl and obsessive colorist and - this photo says it best. Honestly want to tell her to SMILE, but for all intensive purposes, exposing this fabulous, soft approach to winding down a blend of beige blonde and beige brunette. Much like my gal in the cowgirl hat, this technique is along the same lines. Framing the face only is a strategic way to hide gray on your six week marathon, brighten the face and richen up the rest of the crown and crowd. This lovely is a all-star on pinterest. Many of my clients adore her bright blonde tenacity - as do I! If you're a ash blonde to begin with, amping it up with our keratin - brass free - mineral clay is the way to go. As fall comes near, throwing in a few icy brunettes makes the blonde pop even more. @beautyecology only offers the best of the BEST when it comes to color and quality. Email | hello@beautyecology.com | or Text | 612-386-4044 | to book your rich + healthy color! A great haircut can make a woman look and feel ten years younger – instantly! A great haircut can hide wrinkles ("it ok"...we understand secret motives), add body and life, define the jawline, and enhance cheekbones. A classic hairstyle is soft and feminine, sophisticated, and timeless. A mid-length haircut for mature women is often best and age appropriate. Soft layers beautifully frame the face and add volume; the antidote to visually aged or thinning hair. Adding “bangs” may sound a little too scary – but done properly, they help cover age spots or wrinkles on the forehead that many women become sensitive to. Variations of a medium length cut will compliment women differently. For youthful looking hair with bounce, one must start with healthy hair. Coloring to Lighten and Brighten' Highlights can appropriately compliment your base color. Highlights (and lowlights!) are a key component to looking younger. I recommend having discussion with your stylist about the alternatives to dimension and placing highlights versus a solid color – when done wrong or with a conventional/home hair color job - you can pull the hair dark which is unflattering and harsh, especially against mature skin. The best approach is to apply a "spot foil" of glowing blonde or bronze to bring brightness to your skin tone. The next time you visit your hair salon, be prepared to step out looking younger, feeling younger, and absolutely loving your new style. Contact our expert team today to lighten and brighten your hair color and style. As a veteran stylist and mineral makeup artist, I intuitively am looking at my clients unique facial structure. It's part of my professional 'duty' to assist the guest in choosing the best hairstyle, color, and makeup persona to their unique needs. If you do not have a professional that is aware of tactics and how to do this, the follow tips will be useful for you! What is Facial Contouring Contouring is the art of highlighting and shading. By contouring properly, you can alter your face shape and features. 1. Makeup applied that is lighter than the skin tone will make an area more prominent. 2. Makeup applied that is darker will make that area draw back and recede. To make the face look more oval, apply a bronzer a shade or two darker than your skin tone in a "3" shape alongside your face: on your temples, the hollow of your cheeks, and your chin. Shade around the outer edge of your forehead along your hairline to minimize the area with bronzer. Shade alongside your bridge starting from your inner brows. Then highlight right on the center of your nose. Apply a highlighter just above your cheekbone all the way to your temple. Use a blush directly on the cheekbone, then use a bronzer in the hollow of the cheek, underneath your bone. If you really want to make your contouring stand out, use a glossy highlighter, which will reflect the most light. (We love La Bella Donna's "Candlelight" for this effect). Then grab your bronzer with a matte finish, which will absorb light and create a stark contrast. Contact our team today to learn more about our chemical free and prestige mineral makeup line, La Bella Donna. This line has all the tricks to contour and make your face pop and glow! Your Top 5 Summer Fashion Trends! Have you gotten the itch to change out your wardrobe for spring and summer?! I know I have! Being a hair stylist, I am usually drawn to basic staples I can dress up with assessors...... My clients can testify that I am a "true artist" and need clothing that's conferrable and washable! The turn of seasons creates new opportunity to change out our colors both with clothing, hair, and makeup. Be inspired by pulling some of these great SPRING and SUMMER TRENDS together that are unique for you! Based on the runway, it looks like we’re going to see a lot of short hair over the coming months. If you you are not ready to actually pull the trigger, it's time to start inching towards a new style for Spring and Summer! Take a look at photos of Jennifer Lawrence, Portia de Rossi, Charlize Theron, Anne Hathaway, and Lupita Nyong’o, all of whom sported stunning, cropped looks. Accessorize! Headbands are going to be big, big, big. Lupita’s version was sparkling (likely with real gems)…but headbands are an easy way to add interest to the hair…particularly a short ‘do that has limited options for styling. Check out our Pinterest page for the updated looks, trends and inspiration! So Beaute' - Did you watch the Oscars? Did you learn anything new? Any inspirations from the runway? Do share! Fall Fashion and When is the best time to do your Fall shopping? Major trends are flooding the internet. We are noticing tons of braided hairstyles, ponytails, polished buns, voluminous hair, bob haircuts ( faux bobs), messy tresses, hair accessories, and big curls. The season to try something new. While switching up your everyday hairstyle is great for the new season, you can also visit our hair specialist and "richen' up" a new haircut or ammonia free hair-color. Our team is here to assist you in changing your locks, refreshing your sprit, and switching up your your makeup colors ....can you feel the itch? Q. When is the best time to do your Fall shopping? Department stores and boutiques are celebrating the season ahead and we all know how hard it is to get our mind wrapped around wearing winter clothes when its 90 degrees outside! Before heading to the store, look at what you wore! What did you wear to death last year? Does it need to be replaced? Shop with the intention of introducing a new color to your closet. You can start small with a necklace, shoe, scarf or sweater. Boots are a staple for the upcoming months - and can be pricey. Get them early in the season while they are on sale and have your size. If you are lacking scarves and shawls in your wardrobe, get them now in colors that look great on you. They are perfect for transitioning into colder weather and will make your existing wardrobe look fresh and new! Does Your Presence Speak Confidence? A MUST Read on Your Most Powerful Accessory! First Impressions. Your Most Powerful Accessory? Your FACE! As we move about in this high tech world, your face is the reason why people still fly thousands of miles for relationship building and for in-person meetings. Why? Because face-to-face business is paramount in establishing relationships and maximizing productivity. Think about it; in business you may communicate with someone online for weeks, maybe even months before you actually meet them. Once you do, it’s critical to put your best self forward in order to solidify and enhance the initial impression. It’s important to feel confident in these physical relationships - so investing in your beauty persona is a wise move, not just for business, but for every day communication. Make a Statement! The Kasia Hair and Skin Health Experts…. suggest clients spend money on three main things; 1.) aesthetic/supportive shoes, 2.) fabulous underwear to feel powerful, 3.) hair color and skincare, with skincare and over-all hair style being at the top of that list. When is the last time you replaced your face? From the Head – UP! It’s your most powerful accessory. You use it every day – and our team is here to suggest the right natural products and services to keep your hair and skin looking its best! Putting your best face forward holistically synergizes with your health, natural beauty, self-esteem and positive impressions to the world and who you uniquely are. So the next time you think it’s selfish to invest in your hair and skin, think harder because a healthy, glowing skin coupled with a great smile are more powerful than you realize. It IS your PRESENSE that people connect to. The Kasia team has three price ranges to suite your fiscal needs. Contact us with any questions you may have. Slough off the old, and bring on the new! To start the fall season with refreshed skin, slough off the summer residue to start the fall season with refreshed skin. 1.) Treat yourself to at least one good facial treatment to start the season polished and smooth. 2.) Maintain the benefits by doing a gentle exfoliation on a weekly basis with Kasia ReNew AHA + Vitamin C Cleanser. Moisturize! As we exfoliate, the skin needs the nourishment put back in. A basic moisturizer that contains vitamins A, C, and E, plus anti-oxidants are great. These ingredients neutralize the damaging toxins from the sun, and can help prevent further damage when summer is over. EnMoist and AgeLess are the perfect day and evening moisture option for anti-aging. Use Sunscreen The use of sunscreen is a very important and is the main cause of aging skin. Don’t skip this step! Good Day Sunshine + Vitamin D Moisturizer is a great addition for your daily sun-care needs. Internal - External Hydrate! Drinking at least 8 glasses of water per day will keep your skin moisturized and help eliminate toxins effectively. Have an extra glass of water for every glass of alcohol/cup of coffee you take to prevent possible dehydration. Try to get as much water as possible from fresh fruits and vegetables. challenges it will face during winter and boost the skin’s immune system while preserving its quality and restoring its natural glow. A comprehensive skin care system can help protect your skin's existing defenses to prevent further damage. Antioxidants and broad-spectrum sunscreen ingredients help protect, while moisturizers help minimize the initial signs of aging. Have you ever considered your face shape or certain facial features when choosing a cut or style? Your face shape can significantly change how certain hairstyles look on you. At your next professional salon service, take the time to analyze what shape you are classified as - and do an analysis of what cuts best suite your style, upkeep, and face shape! Round Face This face shape has about the same width as length. If you have a round face, you want to elongate the face and give it more definition. Longer lengths (below the chin) with face framing layers work great. A deep side part also creates a slimming illusion. Heart Face This face is wider at the forehead and narrower at the chin and jaw. A deep side part with a chin length cut balances the face shape. 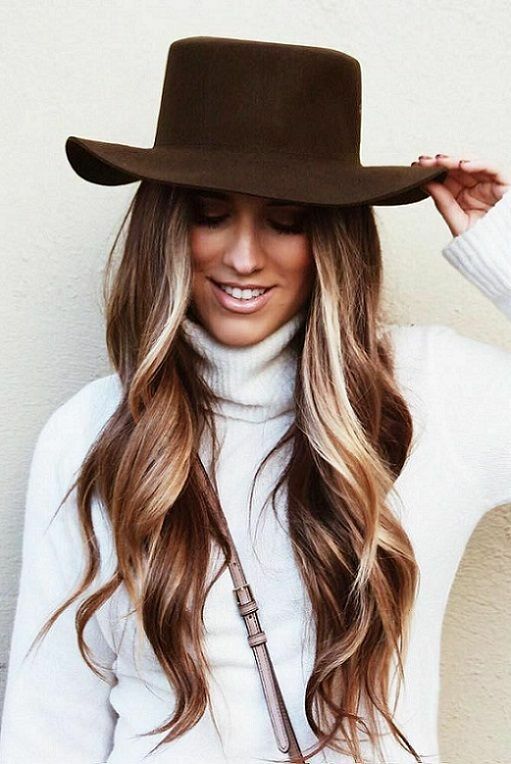 Keep the style soft and add long layers around the face. Small bangs also provide a nice dimension. Oval Face This face shape is well proportioned – the length is about one and a half times the width and can wear almost any hair style. Square Face This face is defined by wide cheekbones, a broad forehead and a wide jaw line. Off center parts and face framing layers work wonders with the facial shape. Rounder bangs help to soften the edges too. Pear Face This face is narrow at the forehead and wider at the chin and jaw. A haircut with width and height balances this face shape. Adding volume to the crown can really bring attention to the eyes. Long Face This face has a length longer than the width. Shorter, chin length hair styles with a wide bang help add necessary width to an elongated face. Large Nose A suggestion when dealing with a larger nose is to keep hair longer, adding soft layers around the sides and on top of the head, paired with a soft bang. Wide Forehead Bangs cut short enough to balance the width of the face is a great suggestion for a wide forehead. Narrow Forehead A bang cut back somewhat to help extend the width of the forehead. Vertical or Horizontal Balance your face with a hair cut that leads the eye in the opposite direction. For example, if your face is too narrow – ask your stylist to build width into your hairstyle or if your face is too wide – ask the stylist to add more height in your hairstyle. Thick Neck Soften a less than swan-like neck with long layers and soft movement in and around the neck area. Narrow Neck We recommend to cut your hair just above the shoulders with layers or into a bob to downplay a narrow neck.